Always remember that good “visual communication” within your company can improve the entire image that your company portrays to the public. 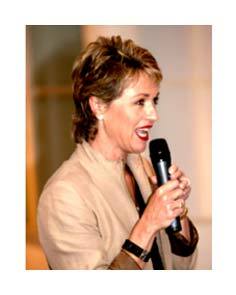 Presentations countrywide, including television and radio appearances, have given Jane the reputation of being “the” authority on image. Her services are secured because of the direct influence of a professional image on creating a good impression and, more importantly, increased productivity. First impressions, confidence dressing, dressing for success and the psychology of dressing. Accessories – scarves, jewellery, glasses, bags, belts, briefcases and shoes. Wardrobe and shopping tips – how to avoid buying those items you never wear. Jane’s presentations are professional, informative, interactive and most of all, a lot of fun! Jane`s recently published book, Make the Most of Yourself is a practical handbook which offers you the opportunity to improve and enhance not only your appearance, but also your confidence and self-image.